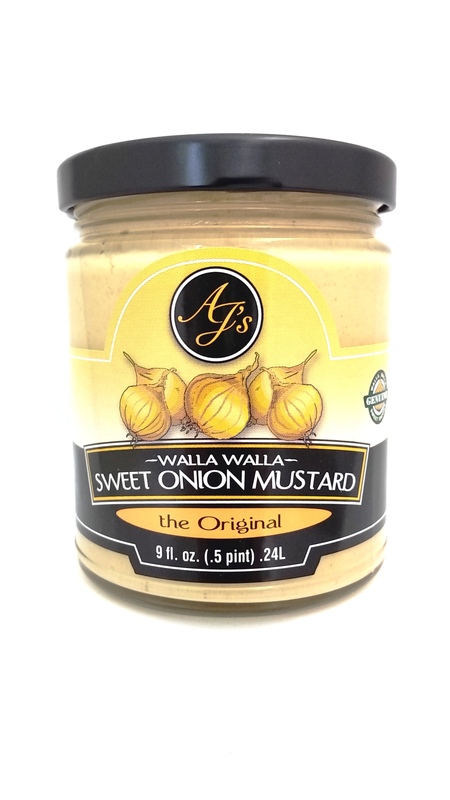 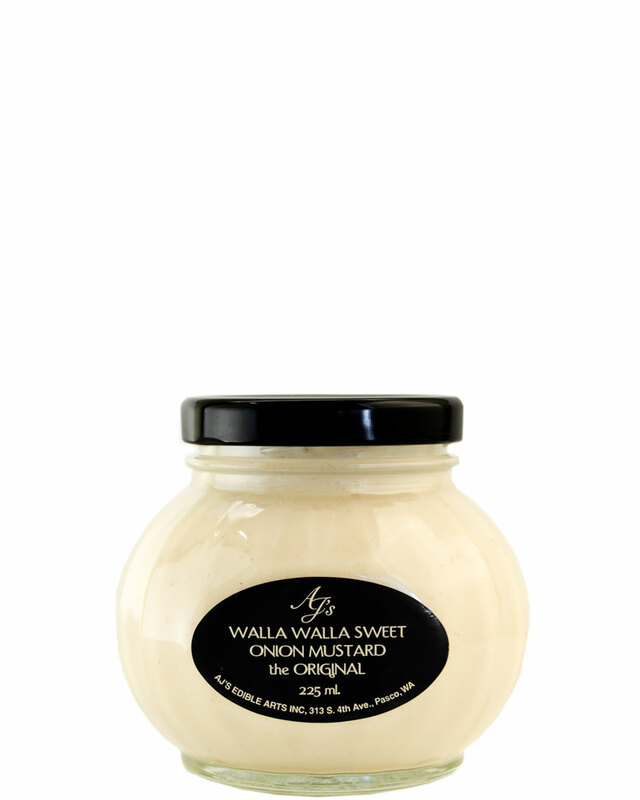 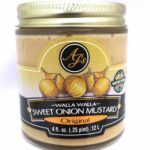 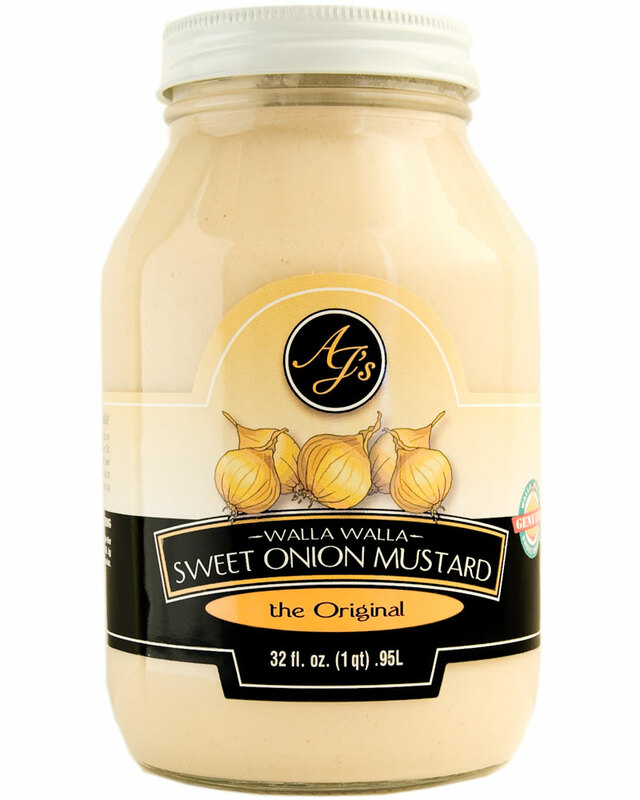 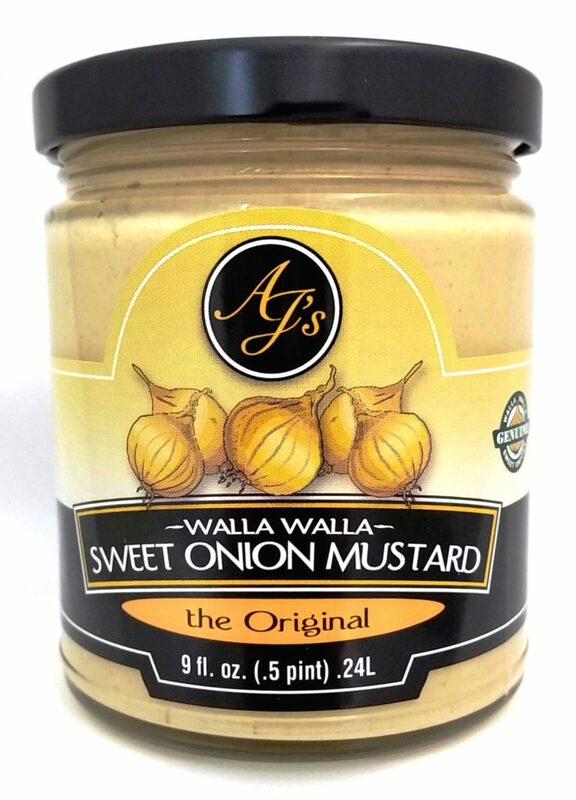 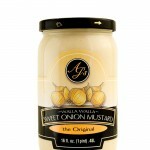 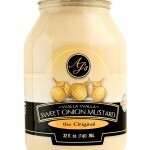 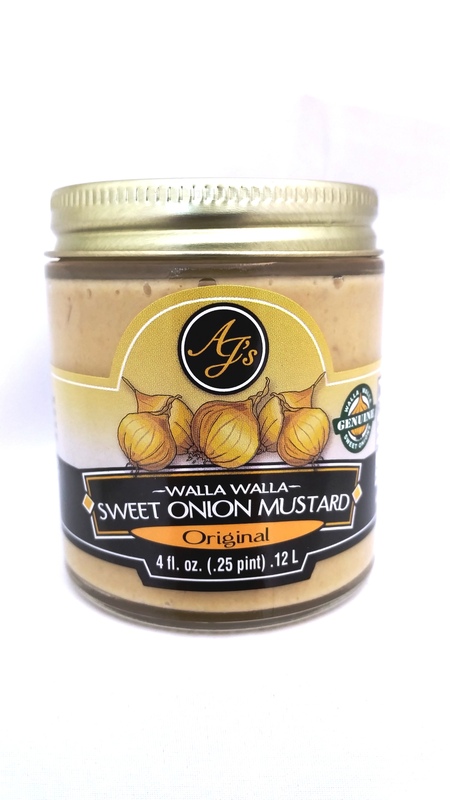 AJ's Walla Walla Sweet Onion Mustard the Original - AJ's Edible Arts, Inc.
AJ's Walla Walla Sweet Onion Mustard has been our best selling product for nearly 20 years. 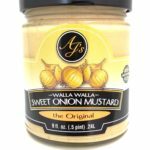 This dijon style mustard is a blend of sweet-hot mustard with subtle sweetness of the Walla Walla Sweet Onion. 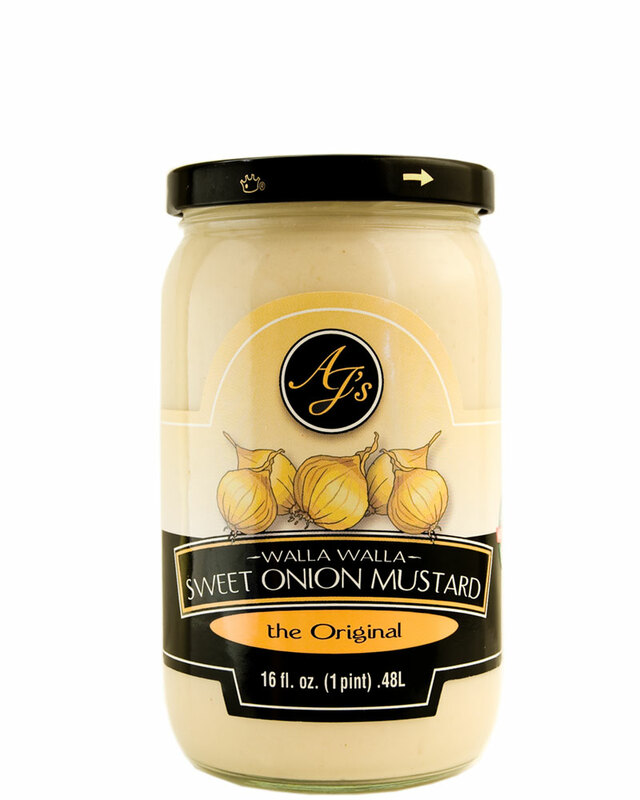 Available for only during the harvest season, we bring the flavor of the Walla Walla Sweet Onion to your pantry year round.